Dallas – Feb. 25, 2013 – Corepoint Integration Engine successfully completed testing in 10 Integrating the Healthcare Enterprise (IHEIntegrating the Healthcare Enterprise (IHE) is an initiative by healthcare professionals and industry to improve the way computer systems in healthcare share information. 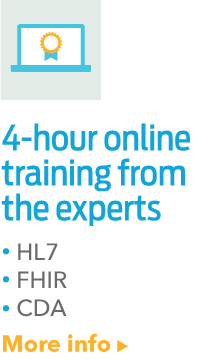 Visit the IHE website. Synonyms: Integrating the Healthcare Enterprise) profiles at the 2013 North American IHE Connectathon in Chicago. Corepoint Integration Engine continued to prove its capability to support those profiles that are critical to securely sharing patient health information, both within enterprises and across communities. Meaningful Use embraces the use of IHE profiles for query-based exchange of health data with external organizations. Now in its 14th year of existence, the IHE Connectathon brings together approximately 500 healthcare IT professionals representing the industry’s leading IT vendors to demonstrate how applications can work together to effectively exchange health data. 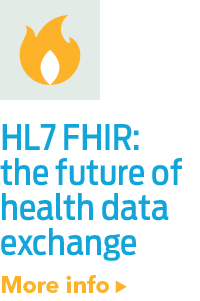 Participants choose to qualify, or test, for specific IHE Integration Profiles, which provide a data programming framework organizations use to exchange health data. ATNA: Defines basic auditing, secure communication, access and authentication controls. CT: Ensures that system clocks and time stamps are synchronized. PDQPatient Demographics Query (PDQ) – What it’s used for: Requesting patient ID‘s from a central patient information server based on patient demographic information. It is used when a system has only demographic data for patient identification. Ex...: Allows querying for a list of patients based on patient demographic information. PIXPatient Identifier Cross Referencing (PIX) What it is used for: Cross-referencing multiple local patient ID‘s between hospitals, sites, health information exchange networks, etc. Used when local patient ID’s have been registered with a PIX manage...: Allows querying for patient identity cross-references between facilities. XDRCross-enterprise Document Reliable Interchange (XDR) – What it’s used for: The exchange of health documents between health enterprises using a web-based, point-to-point push network communication, permitting direct interchange between EHRs, PHRs ...: Allows point-to-point direct document interchange. XDS.bCross-enterprise Document Sharing What it’s used for: The sharing of documents between any health care enterprise, ranging from a private physician office to a clinic to an acute care in-patient facility, through a common registry. Medical document...: Standard for registering and sharing EHRElectronic Health Record (EHR), as defined in Defining Key Health Information Technology Terms (The National Alliance for Health Information Technology, April 28, 2008): An electronic record of health-related information on an individual that conform... documents between healthcare enterprises. XDS-SD: Defines how to couple legacy formats within a structured HL7HL7 is a Standards Developing Organization accredited by the American National Standards Institute (ANSI) to author consensus-based standards representing a board view from healthcare system stakeholders. 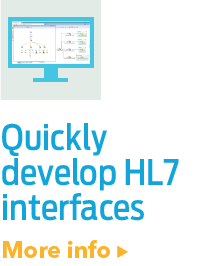 HL7 has compiled a collection of message form... CDA document. XCA: Allows to query and retrieve patient records held across communities. XCPD: Supports the translation of patient identifiers across communities. C-CDA: Document standard required by Meaningful Use Stage 2. Visit Corepoint Health booth 6641 at HIMSS13 in New Orleans to learn about HIE connectivity and healthcare integration solutions using IHE profiles.